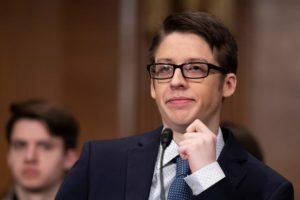 You may be familiar with Ethan Lindenberger, the eighteen-year-old who got himself vaccinated despite his parents’ anti-vaccine beliefs, and who most recently appeared before the Senate Committee on Health, Education, Labor and Pensions (HELP) to talk about his decisions to get himself vaccinated. 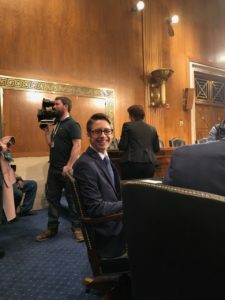 He felt it was important to testify at the Senate HELP Committee’s hearing, which is investigating the causes of the preventable disease outbreaks, because he is now trying to share his story, and he wants to help dispel the many myths that exist about vaccines. In his effort to share what he’s learned, Ethan has started a new blog called Adolescent Advocate. His most recent post, “Why Lies Spread and What We Can Do About It” goes into more detail about the recent vaccine-related policies implemented in Italy and those being proposed in Ohio; the efforts of social media sites’ and online retailers’ to stop the spread of vaccine disinformation; and why the “my body, my choice” argument does not apply to vaccinations. Read Ethan Lindenberger’s full blog post here. Read Ethan’s story on Vaccinate Your Family’s website, and learn more about how you can help support science-based state and federal vaccination policies here.